Hey lady… you’re cool, collected and in control. You’re confident and nothing gets you down. You demand respect and get it. You’re the Boss Lady and this month’s calendar is for you. Come back later this week for coordinating desktop wallpapers. 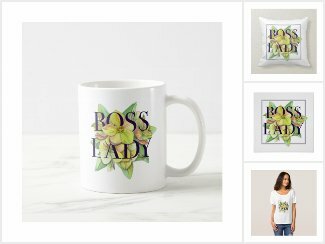 Had to create some Boss Lady gear!